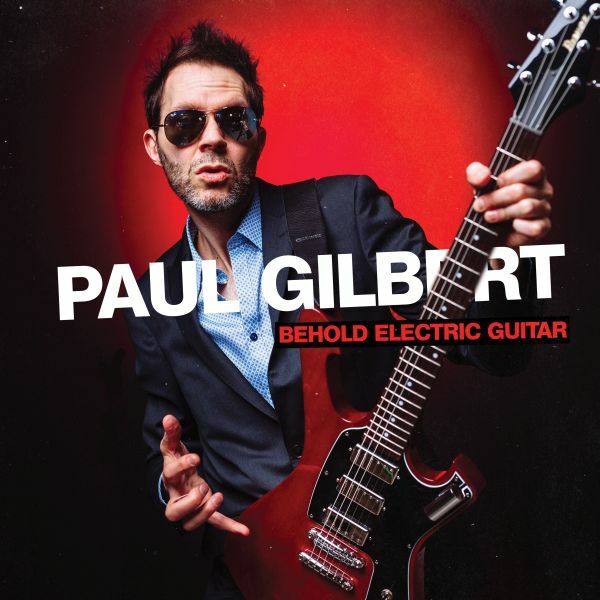 PAUL GILBERT - BEHOLD ELECTRIC GUITAR | Releases | Wizard LTD.
Paul Gilbert&apos;s newest album features 12 new original songs, all with Paul&apos;s most expressive, and inspired guitar playing to date! After his recent move to Portland, Oregon, Paul set out to connect with the best and grooviest musicians in the area, and record an album in his brand new hometown. Brian Foxworth (drums) and Asher Fulero (keyboards) were both obvious choices to play Paul&apos;s mix of rock, blues, jazz, and pop flavors. When Paul&apos;s regular Portland bassist Kelly Lemieux was unavailable (due to his touring with Buckcherry), Paul reached out to New Orleans bass legend, Roland Guerin. Roland came to Portland weeks before the recording dates for intense rehearsing and arranging sessions. With the band complete, Paul enlisted legendary producer and engineer John Cuniberti. John is well known for his work with Joe Satriani, but Paul was primarily interested in John&apos;s expertise with "one mic" recording. Paul explains, "It&apos;s so easy to make albums with overdubbing and editing these days, but I really prefer playing live and just getting the music to sound right because the musicians, the songs, and the performances are good." After hearing Paul&apos;s band, John recommended a few more mics, but still agreed that the music worked best as live performances with no overdubs. "There is not one overdub on the record. Everything you hear is four guys jamming, listening to each other, and making room for each other. The music almost mixes itself that way! And it&apos;s just a great mindset to have. When you know that you won&apos;t be fixing or adding parts later... It keeps your mind very active to get things right!"